I just finished presenting at our our second ACL Symposium of the year at the Athletic Performance Center last Saturday. Rehabbing and training female athletes has been a passion of mine for some time. Over the years, I have also developed a love for research and reading it, particularly studies on the ACL. 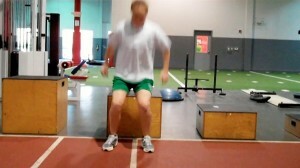 In my practice, I have incorporated jump landing, single leg training and deceleration based training for some time. While we all know females are 3-8 times more likely to suffer an ACL injury than males, we have not isolated the exact reason why. Researchers have offered some clues such as: wider pelvis, narrow femoral notch, smaller ACL, ligament dominance, limb dominance, natural laxity (hormonal factors), wider Q angles, and faulty muscle firing patterns to name a few. In addition, one of my favorite drills is a single leg forward leap (hop) and stick working on deceleration. 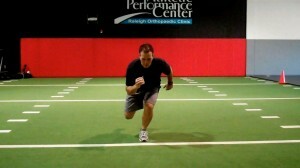 The athlete stands on the right leg and then pushes off forward landing on the left leg. Coaching the athlete to land softly on a bent hip and knee while avoiding valgus is important. I usually perform 2-3 sets of 5 reps on each side. Cueing with a mirror, auditory corrections and tactile cues are useful in encouraging proper form. It is important to keep in mind that the majority of non-contact ACL tears occur between 0 and 30 degrees of knee flexion. They also typically involve deceleration (landing, jump stop or change of direction), planting or cutting. 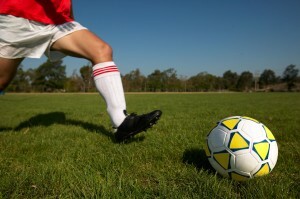 For this reason, deceleration training must also involve programming for agility and change of direction. Stops – I have athletes accelerate out and then decelerate to a controlled two legged stop after 10-20 yards. Keep in mind allowing for a longer run will allow the athlete to gradually slow down, while decreasing the distance increases intensity and force on the knees. I coach breaking down with small “pitter patter” steps versus a sudden hard stop. 2 cone lateral shuffle stops – the athlete shuffles over 5-6 yards and then stops with good hip, knee and foot alignment working to keep the shoulders inside the knees (inside the box). I progress to multiple cone shuffles to increase intensity and maximize repetitive deceleration. Y drill (4 cones) – the athlete runs forward to a cone 5-15 yards out and then performs a 45 degree cut left/right. The progression begins with directed and predictable movement and then advances to reactive cueing with auditory and visual cues. Arrow drill (4 cones) – The athlete runs 5-15 yards forward and then performs a 135 degree cut left/right and runs past the cone that serves as the bottom edge of the arrow head. This is much more demanding on the body (knee) and as such I only move to this after the Y drill has been mastered. In addition, I teach a hip turn (from Lee Taft) to reposition the hips and minimize torsion on the lower leg. 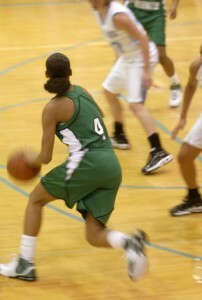 I move from predictive to reactive agility as in the Y drill. For now, the battle rages on. I hope you will join me in the quest to prevent these catastrophic injuries. I think as research evolves we will continue to see that the answer to promoting optimal stability at the knee will increasingly have more to do with addressing the hip and ankle. For now, we need to teach soft bent knee landing/cutting that shifts the body’s center of mass forward, while eliminating valgus loading as much as possible in the danger zone.